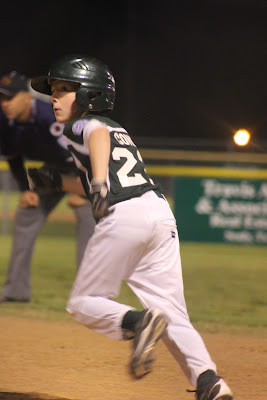 Oh mine, it's Monday (well not technically anymore, it's late) and Little Einstein had his first baseball game of the week, with another this Wednesday and several this weekend (tournament). Rialey has golf and horses plus a Veterinary Program to attend Thursday and also one on Saturday at Texas A&M (she's in eighth grade) and to top it off...I thought it would be a great idea to try my first 5K walk/run (your choice) this Saturday in Houston. I know I said first, so you'd think I'd go ahead and walk, but I've set a goal and now I have to do it, run that is. I have a feeling vomit maybe a part of my Saturday, but it should only be temporary, right???? So before my week gets completely out of control and Saturday will be here before I know it, PLEASE take me to the ballpark!!!! I do not mean the little league park. I want to go to Minute Maid Park tonight. I can not express how BAD I WANT TO GO TO THE ASTROS game. Franchise history was played 50 years ago today, April 10, 1962. 50 years ago the franchise was the Colts and tonight the Astros will celebrate at Minute Maid Park by wearing the authentic Colts jersey. In 1962 the Colts defeated the Cubs 11-2, tonight the Astros are up against the Braves starting at 7:05p.m. I really like the history of things. Little Einstein and I would love to go and see the game and event (as I would like to call it), Henry would lovvvvvvvvvvvvvvvvvvvvve to get #45 Carlos Lee's autograph to add to his collection of baseball memorabilia (primarily Lance Berkman). During the world series we had to have been the only people from Texas supporting the St. Louis Cardinals. Little Einstein wanted Lance Berkman to win a World Series so desperately. He told me over and over, "Mom he deserves it and then he might come back to the Astros." Remember he's in third grade, I don't disagree that Lance Berkman deserve to win, I just didn't have the heart to tell my son at the time that even if they did win, that didn't mean he would be coming back to Houston to play. Since then, he's okay with Mr. Berkman not coming back to the Astros and even got over all the Astros changes pretty good ( the Astros could lose every game and my son would not care and still be there biggest fan). A boy and baseball is a precious thing. As of 10:00ish this morning The Judge (my husband) sent a surprise text and it read: Be ready by 4 we are going to the game. I'm soooooooooooooooo excited and Little Einstein is at school and has NO idea, I can't wait to tell him. WOW Tikaa!I'm totally impressed with your knowledge of the ASTROS!My family LOVES the ASTROS, well my family LOVES BASEBALL! PERIOD! DIE HARD FANS TILL THE END!From one baseball mom to another, baseball and a kid/boy at any age is a WONDERFUL thing. As a kid, I remember going to the old Finger Furniture store basement where they had a Colt .45 museum. They built it around the site of the original homeplate. Tonight's game would be a great one to attend! WE ARE GOING TO THE GAME!!!!!!! I love that. What I remember about going to that Finger Furniture store is the that they had a drink machine where you could get your own coke. You learned something new about me today, but, you did already know we love baseball.